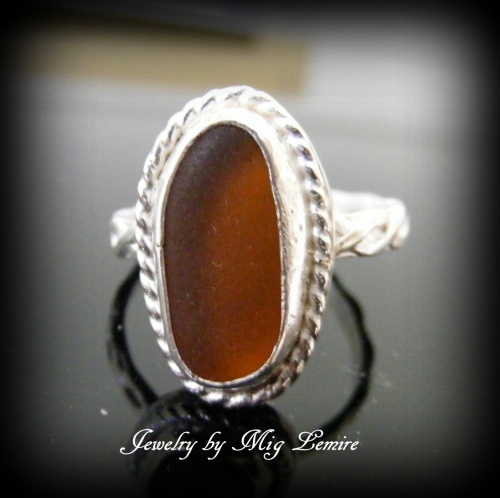 This beautiful brown authentic seaglass ring, is one of a kind with its pretty twisted sterling silver wire framing it. Handmade in sterling silver with a braided band. Size 8 1/2. Ready to ship.